T&S Environmental’s expertise in handling hazardous goods and materials lends perfectly to assisting Local Authorities and Private Landlords in the clean up of potentially very hazardous fly tipped materials. T&S Environmental posses a large fleet of vehicles and highly trained in house staff with experienced site managers which ensure rapid response times and enable unsightly and possibly dangerous waste to be cleared in an expedient manner. T&S currently perform this vital service for many Local Authorities and if your organisation is in need of a responsive, professional and cost effective Contractor to assist in the removal and disposal of fly tipped waste, call us directly on 01375 398768 or submit a contact form if viewing this out of hours. Our extensive list of Licenses and Accreditation ensure that virtually any type of fly tipped waste you may have to contend with, we can remove and dispose of on your behalf. With many years experience in the particular field of handling fly tipped hazardous goods, T&S Environmental will be the only Contractor you need to have a site cleared and made safe. 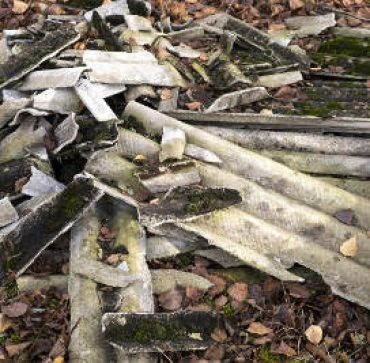 T&S offer this fly tipping clean up service alongside their various other hazardous goods removal service such as Pigeon Guano Removal, Lead Removal and Asbestos Removal & Disposal.